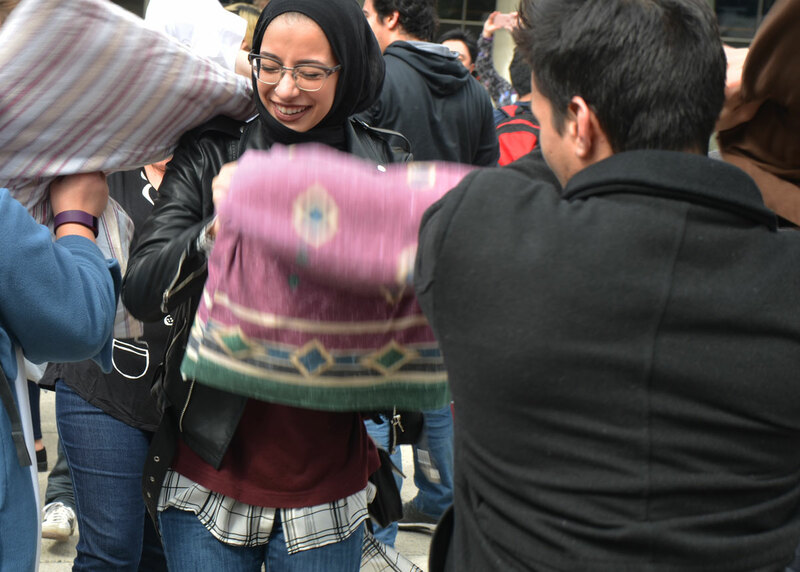 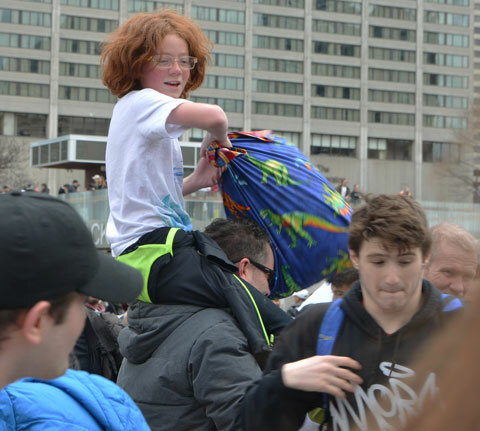 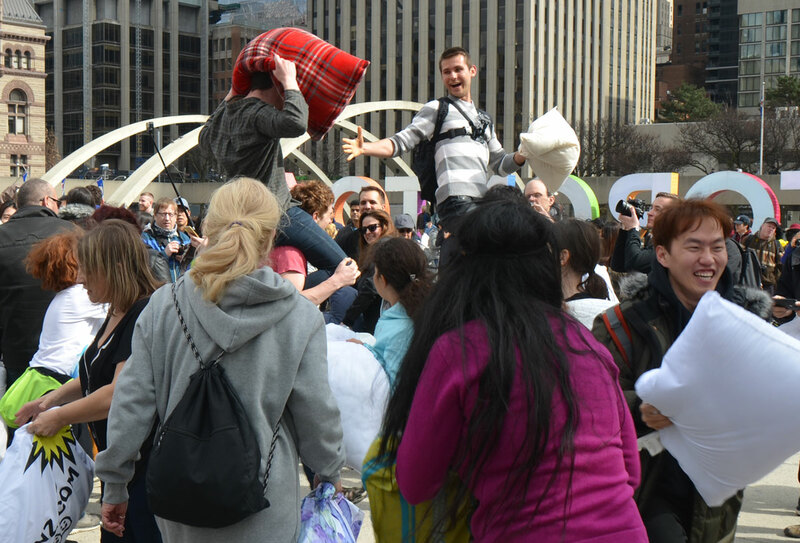 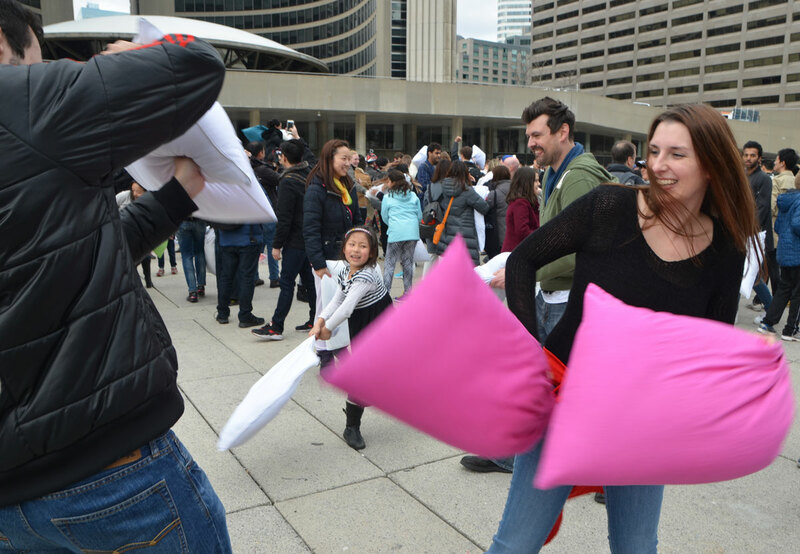 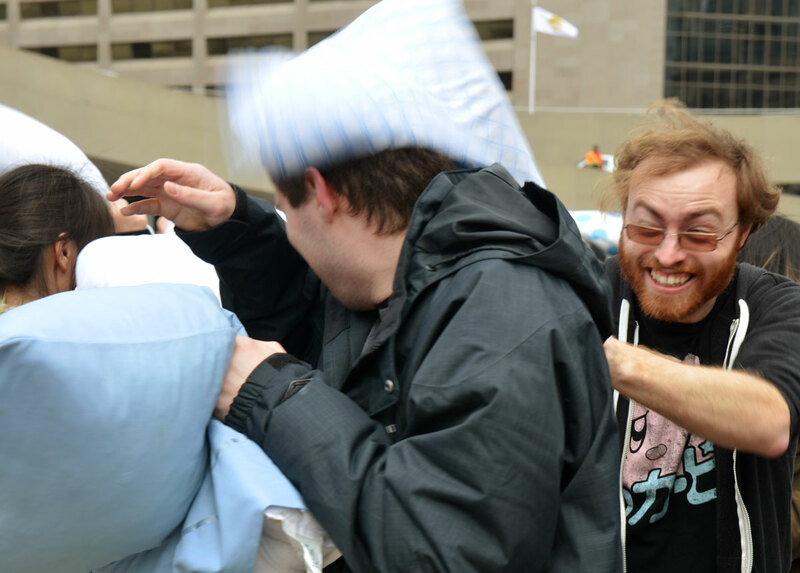 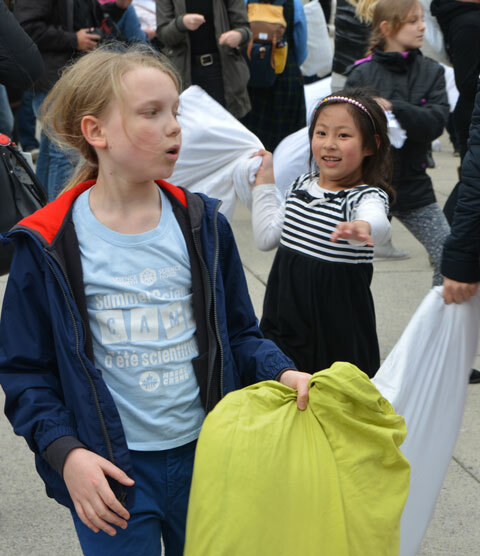 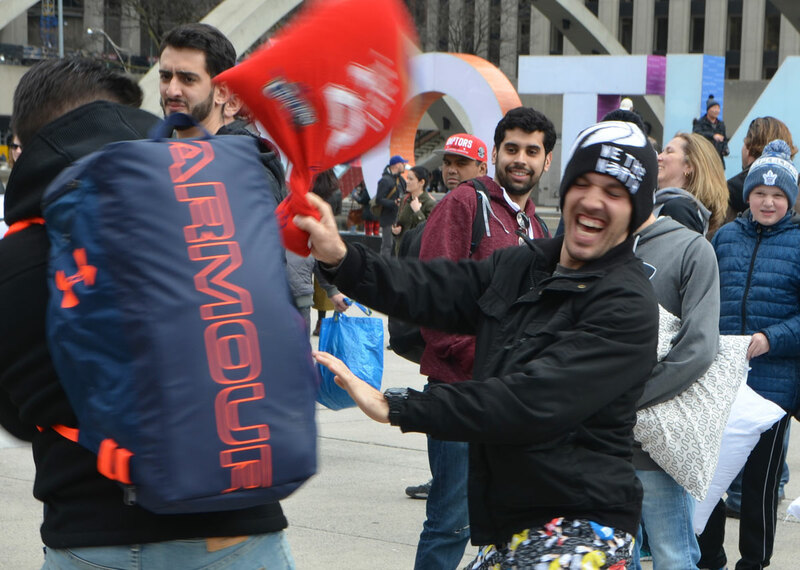 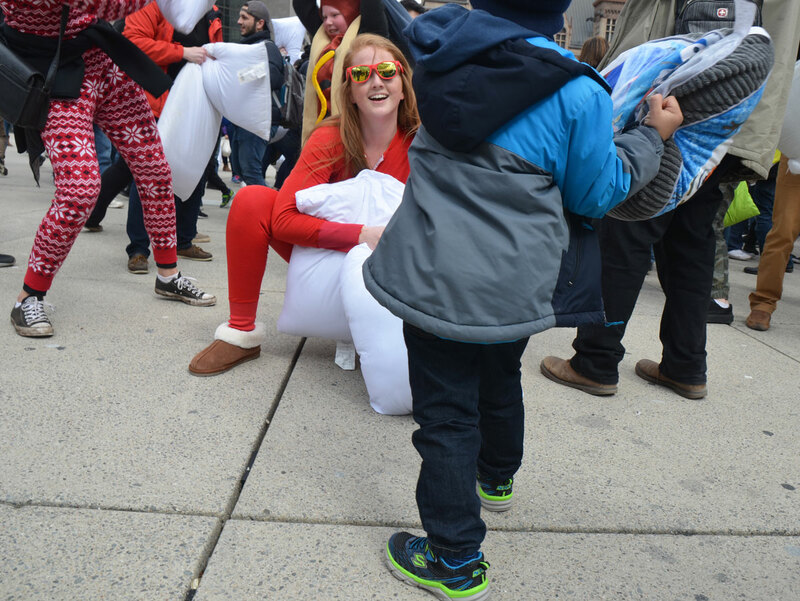 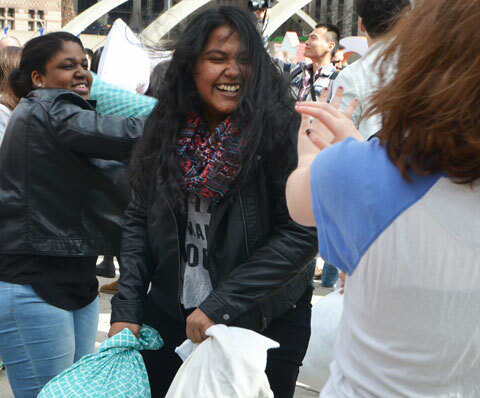 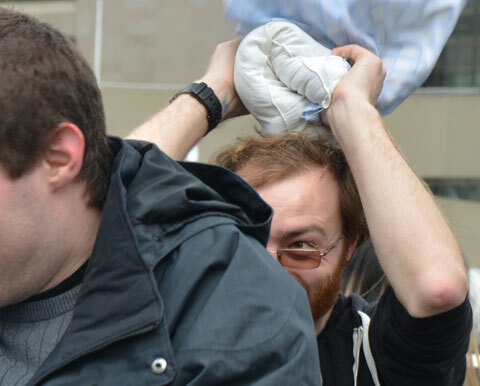 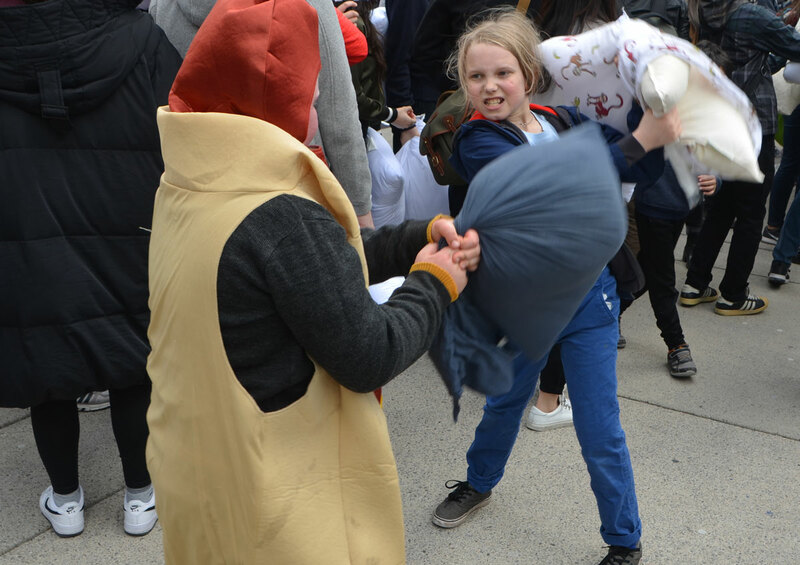 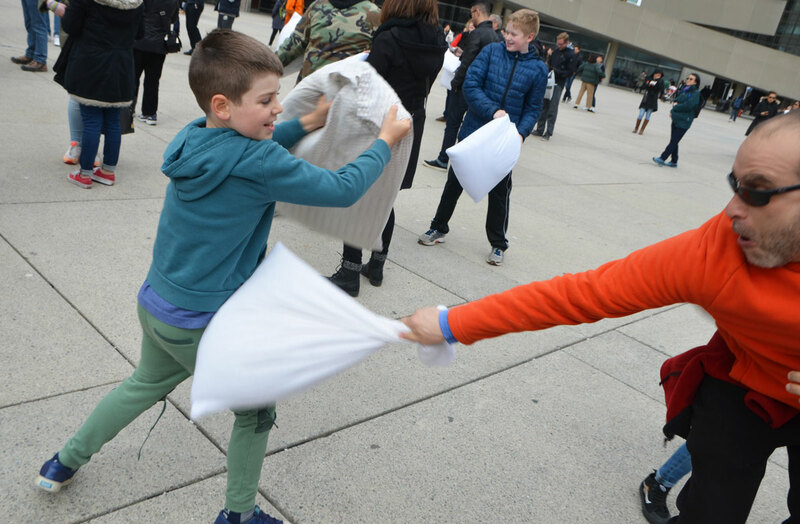 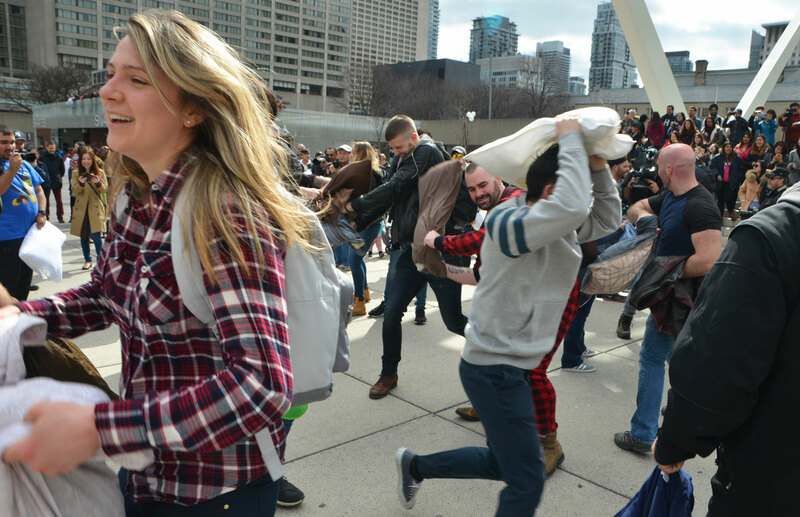 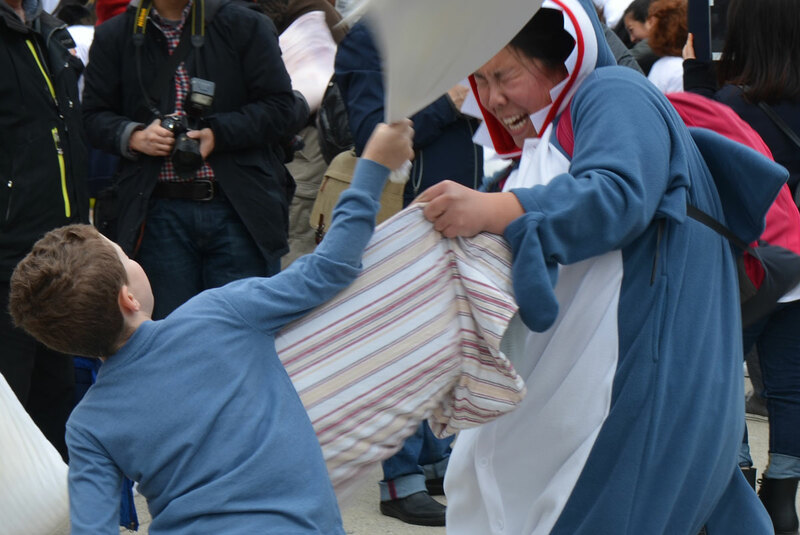 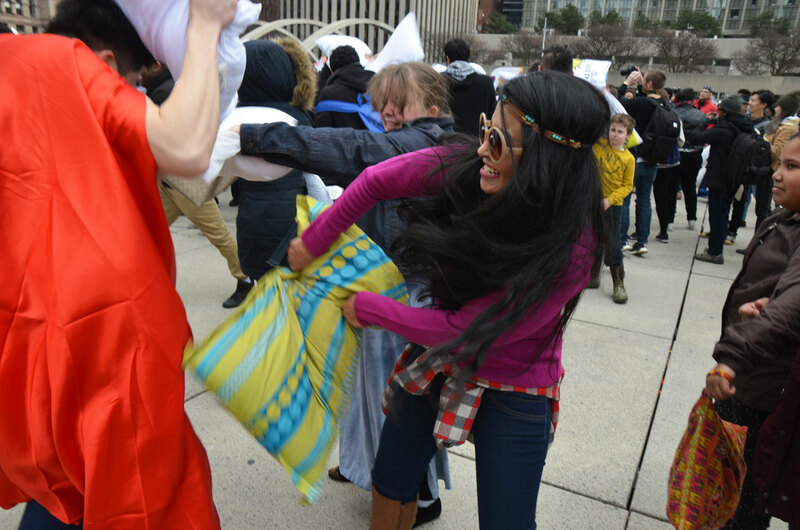 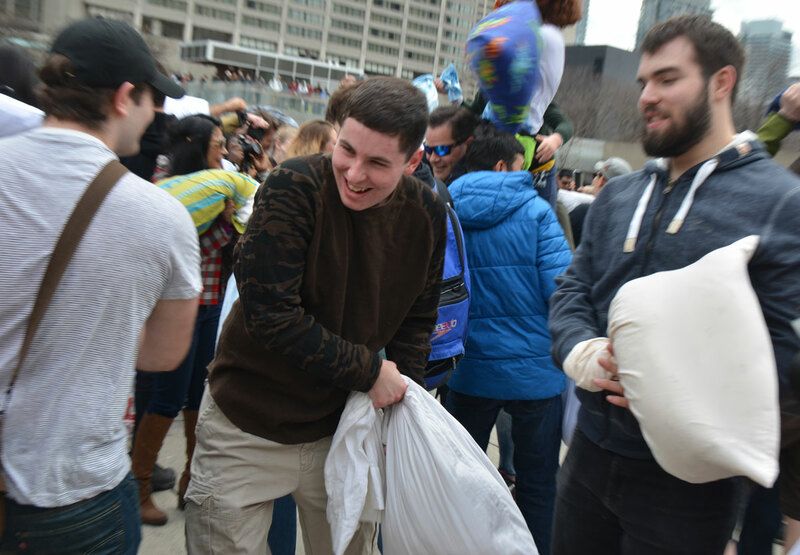 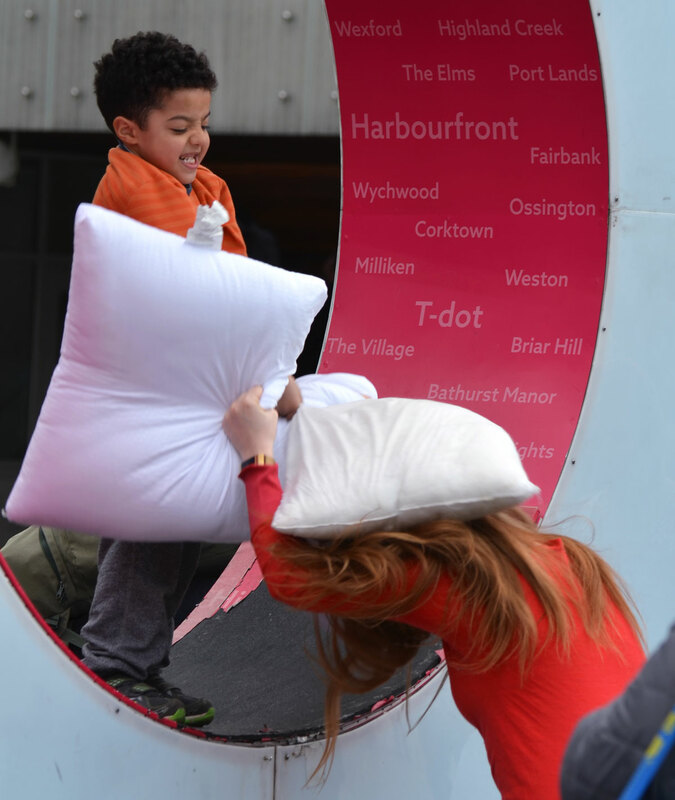 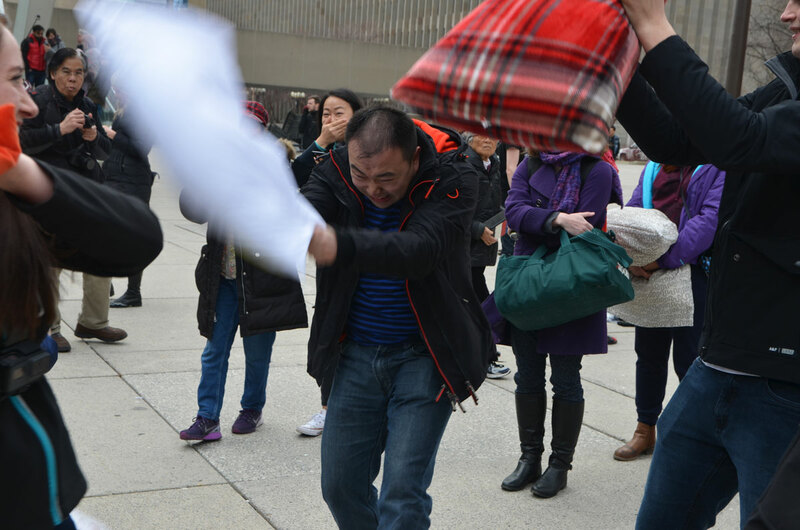 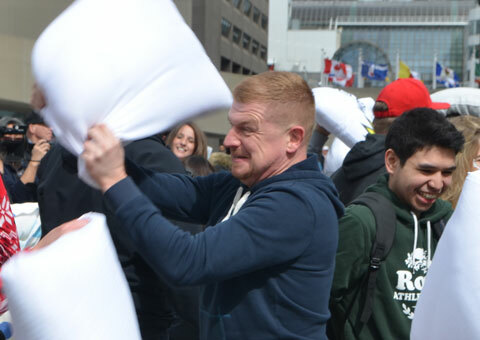 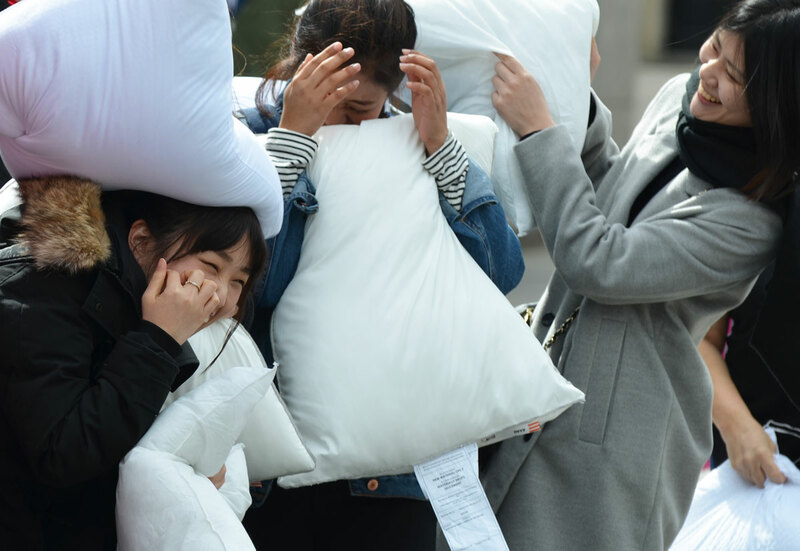 April 1st was International Pillow Fight day and like previous years, a group gathered at Nathan Phillips Square armed with pillows and ready for a fight. 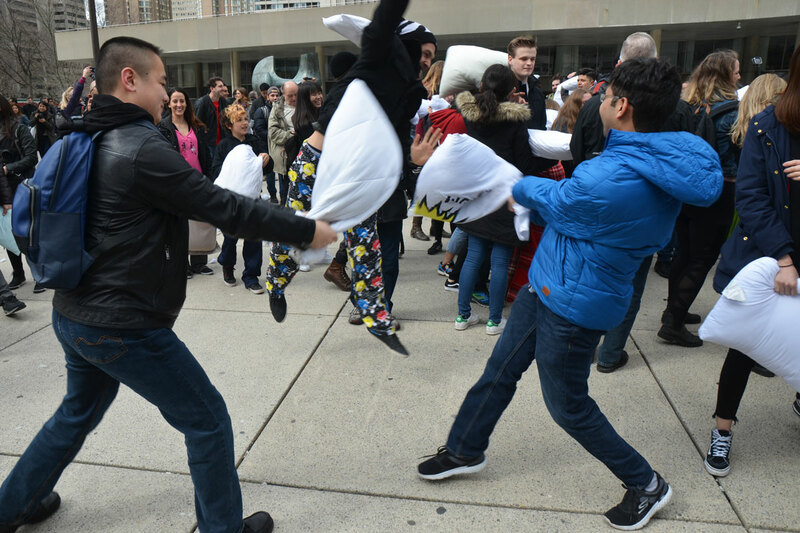 Swinging, ducking and hitting as well as laughing and smiling, ensued. 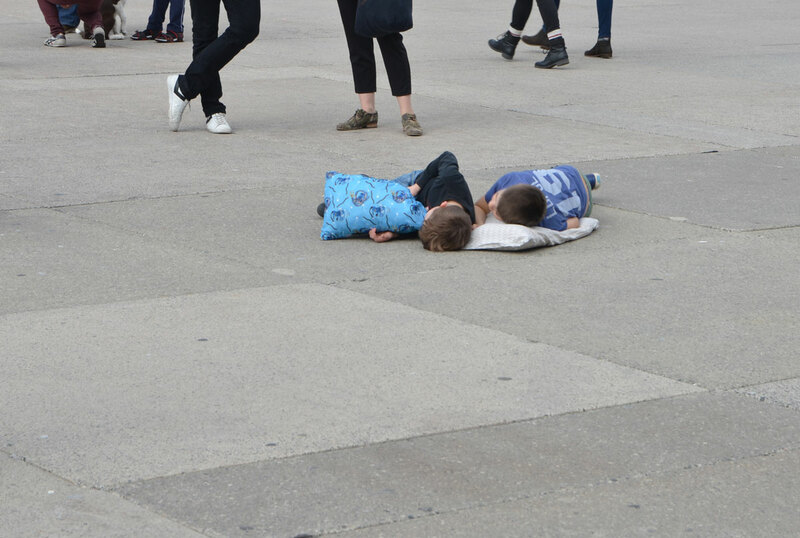 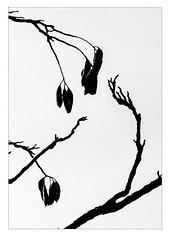 below: A well deserved rest after a fight well fought.